FOR CABLE OR SATELLITE TV AGAIN! 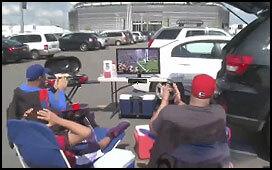 Great For The Outdoors & Tailgating Parties! Hide HD FREE TV Behind Curtains, Artwork or Furniture! *To find out what stations are in your area please visit https://www.fcc.gov/media/engineering/dtvmaps?zipCode to find a reception map near you. 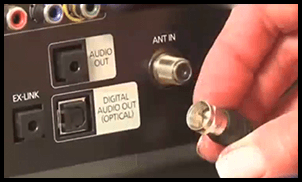 These trademark names are the property of their respective owner and are not affiliated with or endorsing HD Free TV Antenna. 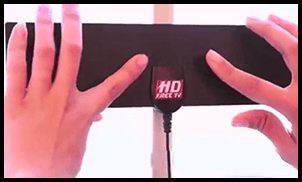 Attach HD Free TV Antenna to any window, wall, door or flat surface. 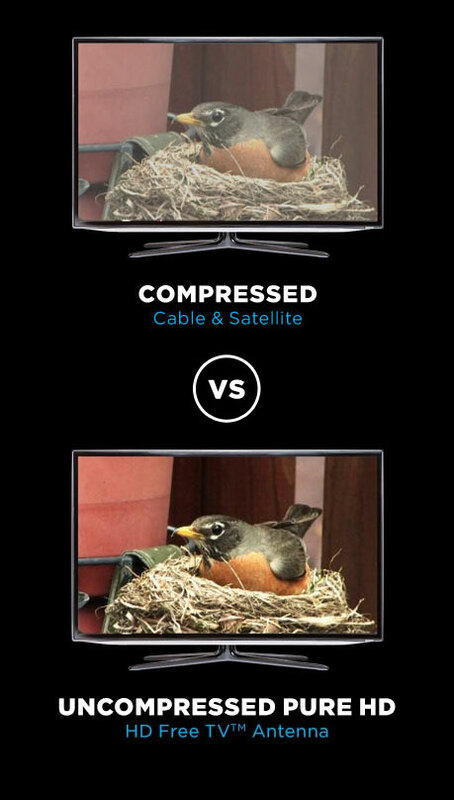 Don't Pay Hundreds of Dollars For Cable or Satellite TV Again! 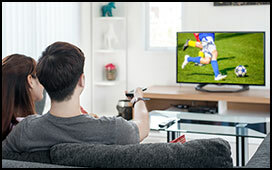 GET FREE TV: Sports, Movies, News, Music, Comedies and so Much More! 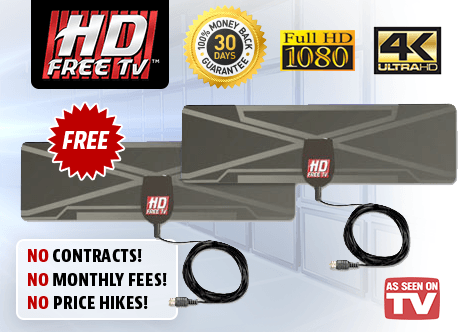 Offer Details: Order today and the HD Free TV antenna for only $19.99 plus $6.99 processing and handling. But that’s not all! 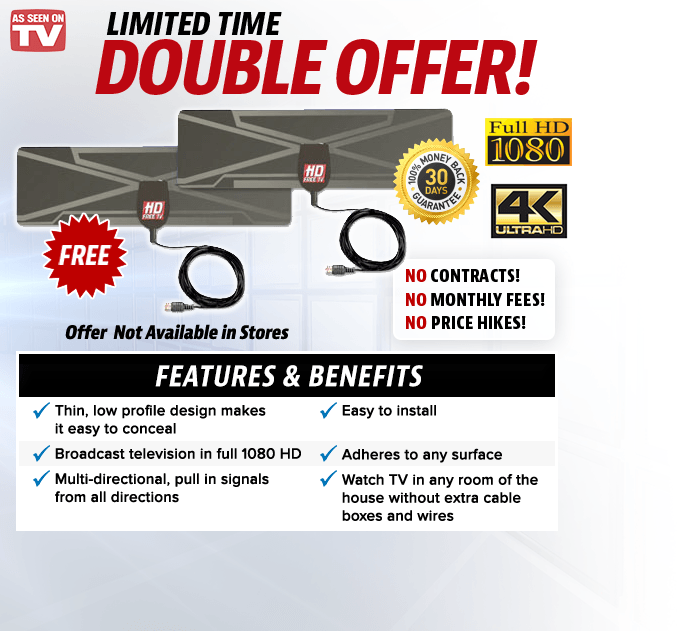 As part of today’s special DOUBLE OFFER you’ll also have the opportunity to get a BONUS HD Free TV Antenna, a $19.99 value for FREE, just pay separate $6.99 processing and handling. Sales tax will be added to orders from NV, NJ, & CA. Return Policy: 30-day money back guarantee.